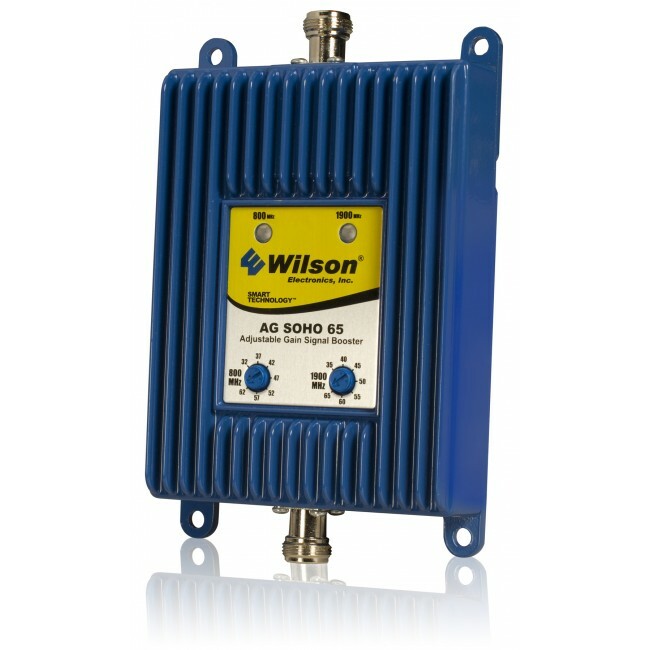 The Wilson AG SOHO 65 Amplifier (805045) provides up to 65 dB of boosted signal and is designed to work with all major cell phone carriers in North America. For users needing improved cellular performance in a Small Office or Home Office environment, Wilson’s AG SOHO 65 Cell Phone Signal Booster is a great solution. The AG SOHO 65 supports multiple cell phones and data cards simultaneously, and works with all major North American cell phone carriers, which include both Cellular (824-894 MHz) and PCS (1850-1990 MHz) carrier frequency bands. 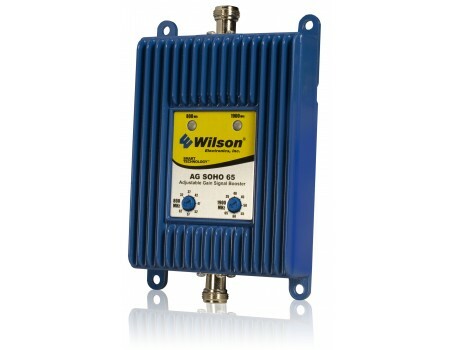 It can be paired with a wide variety of Wilson indoor and outdoor antennas for a truly customized system. Depending on outside signal strength, the AG SOHO 65 can improve cellular strength in a single room or an entire home. The AG SOHO 65 has N-Female connectors and measures 5.6 x 3.6 x 1.7 inches.